Looking for a child-friendly Melbourne where the little ones have a space to play? 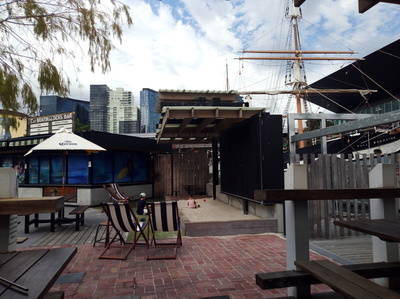 The Boatbuilders Yard in South Wharf is the place to go. 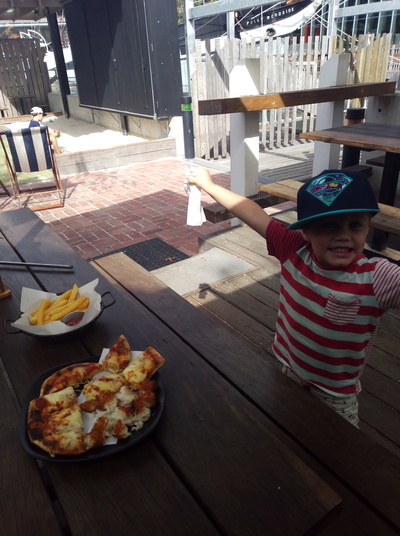 Kid-friendly dining options within walking (or public transport) distance from Melbourne's CBD can be hard to find. The majority of restaurants and cafes might say they cater for children, but are they really equipped to entertain the littlest members of your family? 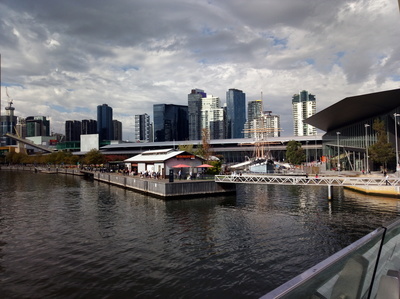 That's where The Boatbuilders Yard in South Wharf differs. 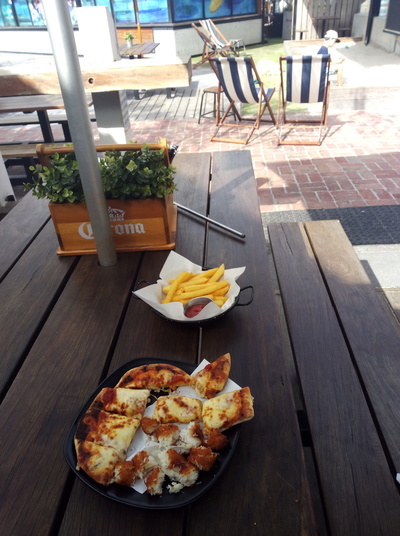 This family friendly dining spot can be found right next to the Melbourne Exhibition Centre. The restaurant is also conveniently next to the Polly Woodside Tall Ship; so you could make a day of it and explore the National Trust's "pirate ship" while you're there! What makes The Boatbuilders Yard great for kids is the little undercover sandpit set up with toys, plus a giant jenga game to play. This is a lovely spot, with the historic Polly Woodside Tall Ship in the background. 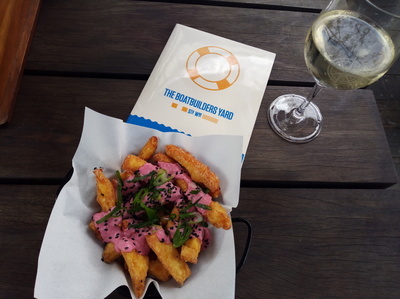 The menu choices at The Boatbuilders Yard are interesting and varied for the grown ups (hello haloumi fries!) and for the kids there's fish and chips, cheesy pizza, mini burgers, not to mention fun breakfast eats. 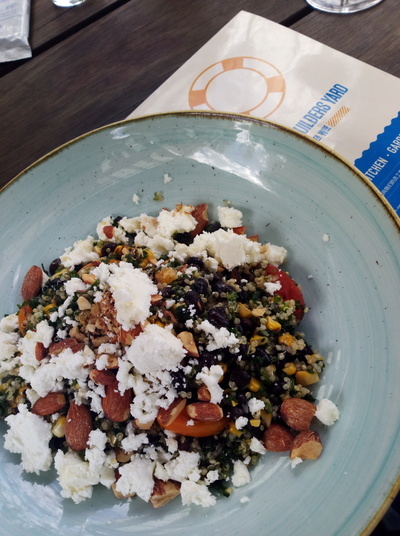 Do choose the super salad if you feel so inclined, your body will thank you for it and so will your taste buds! 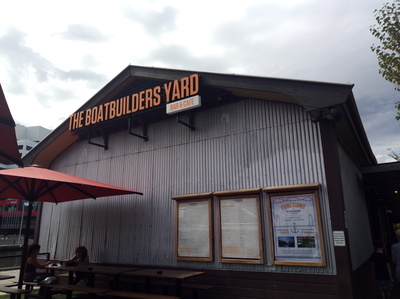 The Boatbuilders Yard is welcoming restaurant, staff are attentive and friendly. You couldn't ask for a better place to be on a sunny day. Reserve a table ahead of time and position yourselves next to the kid's play space so you can enjoy your lunch and watch your little ones play. When: Mon - Fri 7am till late. Sat & Sun 8am till late.